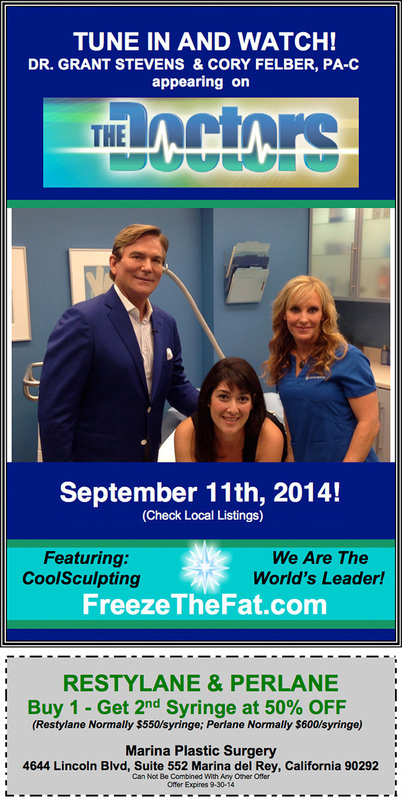 We ‘re excited to demonstrate the latest CoolSculpting applicator called CoolSmooth. You can see how it works tomorrow on the very popular TV show, “The Doctors.” (Check local listings.) In honor of this exciting segment, we are also giving our patients a screaming deal in facial rejuvenation fillers, with half off the second syringe. Bring us the coupon below anytime this month, and say goodbye to wrinkles. Looking forward to seeing you soon!